Determine the temperature coefficient for the resistivity of various materials. 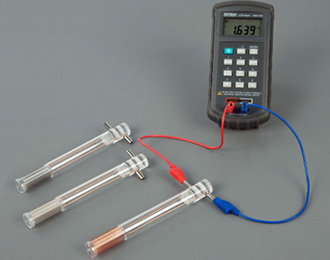 Measure the change in resistance of these wire-wound resistors as they are immersed in different temperature non-conductive liquids (boiling or ice water or liquid nitrogen). The wire is wound on Plexiglas® tubes that are fitted with sockets for safety plugs. We recommend an ohmmeter that can read to 0.01 Ω such as the SE-8792.